As with all Orders of the Holy See, there is no set method of nomination for this Order. The Holy See is free to nominate and award in any manner in which she sees fit. 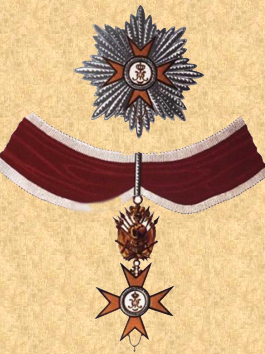 However, awards of the Order of the Golden Spur are typically made on the recommendation of Diocesan Bishops or Archbishops or Nuncios for special merit or service. If it is processed through the local Bishop, then the usual procedure is for that Bishop to nominate the candidate through the appropriate Apostolic Nuncio, who then forwards the recommendation to the Cardinal Secretary of State in Rome. Awards are also sometimes made on specific recommendation of members of the Roman Curia. Specific procedures can vary. Upon approval, a diploma is issued in Latin (with the candidate's forenames also translated into Latin where possible), and it is signed in almost every case on behalf of the Roman Pontiff by the Secretary of State of the Vatican. The award also usually requires the payment of a nominal "tax" to cover expenses concerned and support the work of the Church. It may be paid by the recipient or by someone else on his behalf. Even though Vatican reforms no longer confer a special status on Papal knights, the receipt of a Papal knighthood ought to serve as an impetus for service on the part of the recipient. Sometimes non-Catholics receive the honor. 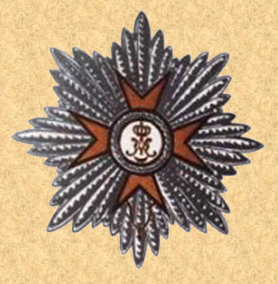 The insignia of the Order of the Golden Spur differs in that it is for one grade. The uniform, which is now rarely worn, consists of a red coat, richly embroidered, black trousers, and a plumed hat and sword. The badge is worn about the neck, and a star is worn on the left breast. There is no single authoritative source of the membership of the Order of the Golden Spur. As the award of Papal knighthoods now no longer conveys special status, it is unusual for them to be published in Acta Apostolicae Sedis (Philippe Levillain, ed. John W. O'Malley, tr. The Papacy: An Encyclopedia (2002) vol. ii s.v. "Nobility, Roman"). 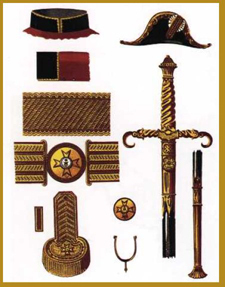 Some private associations of knights around the world maintain their own lists, but these speak only to their own membership. These organizations include the Associazione Decorati Apostolica Sede, the Associazione Decorati Pontifici, the College of Pontifical Honorees, and the Association of Papal Orders in Great Britain. Additionally, some individual scholars and enthusiasts have attempted to give definitive numbers of recipients of Papal honors by country. Due to the nature of the award, these lists are always incomplete.